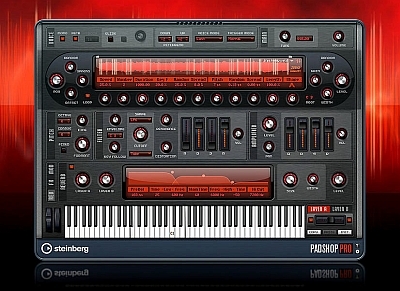 Padshop Pro is an improved version of Steinberg’s state-of-the-art VST synthesizer and offers several new effects and capabilities to meet the requirements of professional sound engineers and experienced creatives. Version Pro offers import and processing of user samples in such a way as to permanently affect your perception of sound. Padshop Pro Exclusive Features: Import samples by dragging and dropping for advanced sound design projects and custom presets. 3-band parametric equalizer per layer for clarity and smoothness in the mix. Algorithmic reverb to enrich your sound with fullness and atmosphere. 50 new presets with atmospheric pads and evolving sounds. Samples: With Padshop Pro, sound designers and creatives can use their own samples and recordings to fuel the Padshop granular synthesis engine. Record new sounds in Cubase and drag the file directly into Padshop Pro to create individual sound settings. Own samples can also be imported from MediaBay or via a convenient browser in Padshop Pro. WAV and AIF formats are supported for up to ten minutes. Effects Expert: With two additional effects, Padshop Pro covers everything you need to create your own impressive, granular synthetic presets. Pro version comes with a 3-band parametric equalizer for each level. With a frequency range from 20 Hz to 20 000 Hz, the equalizer allows you to increase the clarity and smoothness of your user presets and gives you the ability to edit sounds from the first step.